Contact between leading contenders in practice has laid the foundation for two physical Supercars races at the Tyrepower Tasmania SuperSprint. The Supercars will return to the Symmons Plains circuit this morning for final practice ahead of qualifying and the opening 120km race. 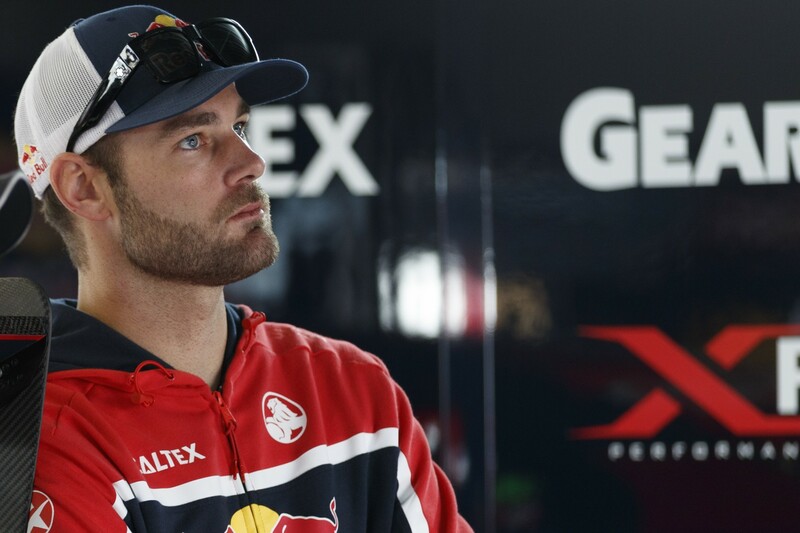 Friday pace-setter Shane van Gisbergen admits that the tight nature of the 2.41km bullring makes car-to-car contact inevitable. The rear of the reigning champion’s Holden was dented during opening practice thanks to a hit from Fabian Coulthard as the pair fought for track space at the tight hairpin. While both shrugged off the incident as “a bit of fun” during the preliminary running, it’s a clear sign that the heavyweight contenders aren’t afraid to use their bumpers to gain track position. Coulthard and team-mate Scott McLaughlin showed on Friday that the Shell Fords are again likely to duke it out with the Red Bull Holdens this weekend by ending up second and third in practice respectively. Van Gisbergen says that the potential for passing at Symmons Plains has increased in recent years, but notes that the overtakes are still marginal. “There is always contact here, it’s very tough,” van Gisbergen told Supercars.com. “Over the years the line that is quickest at the hairpin has gotten wider. “There’s a huge invitation there to go up the inside and ‘door someone’ and carry on with it. “I think it’s made the racing more exciting in the last few years here, there’s more passing. Drivers head into the weekend with increased confidence in the judiciary following its major overhaul during the off-season. Hit with two penalties during the recent non-championship weekend at Albert Park, van Gisbergen says he was impressed with how the system played out. “I think the way it was managed and put across to me was much improved over what we had,” he said. Revisions to the driving code this year have placed a greater emphasis on post-race investigations, with penalties only issued in-race if one party is deemed to clearly have been at fault. Post-race penalties are being issued only when one driver is adjudged to have been wholly or predominately responsible, while the redress process is still a voluntary option for drivers when just two cars are affected by contact.